The World Health Organization has released a plan to help countries wipe out trans fats from the global food supply in the next five years. The United Nations agency has in the past pushed to exterminate infectious diseases, but now it's aiming to erase a hazard linked to chronic illness. 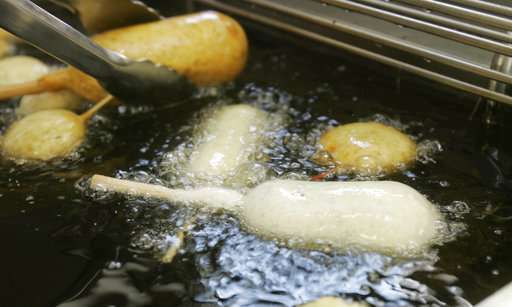 In a statement Monday, the U.N. health agency said eliminating trans fats is critical to preventing deaths worldwide. WHO estimates that eating trans fats—commonly found in baked and processed foods—leads to the deaths of more than 500,000 people from heart disease every year. "It's a crisis level, and it's major front in our fight now," WHO Director-General Tedros Adhanom Ghebreyesus said at a news conference in Geneva on Monday. The WHO is now pushing middle- and lower-income countries to pick up the fight, said Dr. Francesco Branca, director of the WHO's Department of Nutrition for Health and Development. The WHO recommends that no more than 1 percent of a person's calories come from trans fats. "Trans fats are a harmful compound that can be removed easily without major cost and without any impact on the quality of the foods," Branca said. At the WHO news conference Monday, a representative from a leading food industry trade group said companies are working to reduce trans fats in their products. "We call on food producers in our sector to take prompt action and we stand ready to support effective measures to work toward the elimination of industrially produced trans fats and ensure a level playing field in this area," said Rocco Rinaldi, secretary-general of the International Food and Beverage Alliance. "The world is now setting its sights on today's leading killers—particularly heart disease, which kills more people than any other cause in almost every country," said Frieden, president of Resolve to Save Lives, a New-York-based project of an organization called Vital Strategies. In the U.S., the first trans fatty food to hit the market was Crisco shortening, which went on sale in 1911. Trans fatty foods became increasingly popular beginning in the 1950s, partly because experts at the time thought they were healthier than cooking with butter or lard. In 2015, the FDA took steps to finish the job of eliminating trans fats, calling for manufacturers to stop selling trans fatty foods by June 18, 2018—a deadline that arrives next month. FDA officials have not said how much progress has been made or how they will enforce their rule against food makers that don't comply. "The removal of trans fats from the food supply as an additive counts as one of the major public health victories of the last decade," said Laura MacCleery, policy director for the Washington, D.C.-based advocacy group, Center for Science in the Public Interest. Q&A: What are trans fats?